North America’s ADC: Ever since the inception of competitive League of Legends play, CLG’s Peter “Doublelift” Peng has been known as an avid trash talker. Ever since the inception of competitive League of Legends play, CLG’s Peter “Doublelift” Peng has been known as an avid trash talker. Still hated by many, Peng is a complete genius when it comes to hyping up crucial matches. Doublelift is frequently criticized with blanket statements about how he is arrogant, selfish, or the center of all of his long-time team’s plans. In reality, the 21 year old has stated that he greatly disliked CLG’s “Protect the Doublelift”, a strategy in which all of Peng’s teammates would funnel gold and kills into him. Though he is considered an all time legend of the NA LCS, Doublelift has yet to come 1st in any major tournament in the past half decade. As fate would have it, this grizzled, proud North American veteran would eventually clash with a dwindling superstar. In October of 2013, Chae “Piglet” Gwang-jin was literally on top of the world. His team, SK Telecom T1 K, had just won the League of Legends World Championship in convincing fashion. With a 15-3 record, SKT had demolished several international teams on the road to the Summoner’s Cup, solidifying a future of long-time Korean dominance. Despite predictions, things got even better for Gwang-jin as his team returned home for 2013’s OGN Winter. SK Telecom held an undefeated 15-0 record as Spring approached, and they looked poised to visit the World Championship for a second time. As the crowd roared after SKT’s Winter victory, Piglet sobbed on stage, citing that he didn’t believe his play was satisfactory. Just a few feet away, sitting in his own team’s soundproof booth, the 18 year old that would eventually dethrone Gwang-jin smiled. Rage and jealousy burned in the teenager’s eyes, as the bright green strobe lights bounced off of the circular lenses of his glasses. Watching Piglet cry from afar, he knew deep down that he would soon rule the competitive world of League of Legends. The OGN Winter season had concluded, and SK Telecom was bound for the 2014 All-Star Event in Paris. Doublelift was to play for Team Ice, one of two international squads that were created just for this exhibition. Even though he had stated that he believed Piglet to be the best AD Carry of all time during the Season 3 World Championships, Peng scoffed that he and Team Ice’s MadLife could beat any bottom lane in the world. Responding to the controversy the above claim prompted, Piglet joked in an interview with Travis Gafford that he could defeat the American ADC with a hand tied behind his back. Though he was clearly having fun, Doublelift’s arrogance strangely echoed a similar statement that he had made just one year prior. 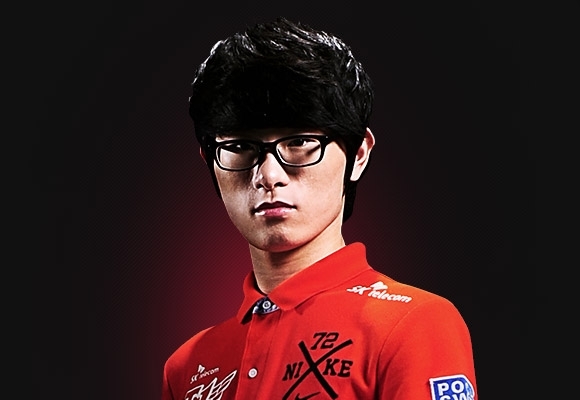 At the 2013 League of Legends All-Star Event in Shanghai, before the match between North America and Korea, Peng said that he’d rather “Crush these smug Asians” than return home in the tournament’s early stages. Trash talk like this has made Doublelift Public Enemy Number One for other regions, who don’t have enough context to know that he’s just trying to gather hype for matches. In 2014’s Korean Regional Qualifiers, SK Telecom had lost their 3rd Place Match against NaJin White Shield. Taking the region’s final ticket to the World Championship in Seoul, NWS ensured that Piglet and his team would not have back-to-back visits to Worlds. Despite a solid final performance, SK Telecom were rapidly crumbling under a lack of synergy and a flurry of roster swaps. Deciding that their team’s play was no longer acceptable, SKT made the decision to cut their own Bot Lane. Battered and devastated, Piglet searched for a new team for months, before deciding upon North America’s Team Curse. With the shameful habit of placing 4th consistently, Curse needed a superstar to re-kindle their once great team. Gwang-jin packed his bags and flew to Manhattan Beach, where he now lives with his other teammates. In his very first interview after being announced as Curse’s new AD Carry, Piglet said that he would like to “Kick Doublelift down a few pegs”. The Korean added a follow-up statement a few weeks later, citing that he didn’t regret what he had said about CLG’s Captain. While he may be approaching the end of his career, I believe that we can all look forward to Doublelift rising to the occasion and taking the former world champion head-on. Thank you so much for reading! If you’re looking forward to more content like this, then go ahead and follow me on Twitter (@GP10Moreton) for constant updates on my work.